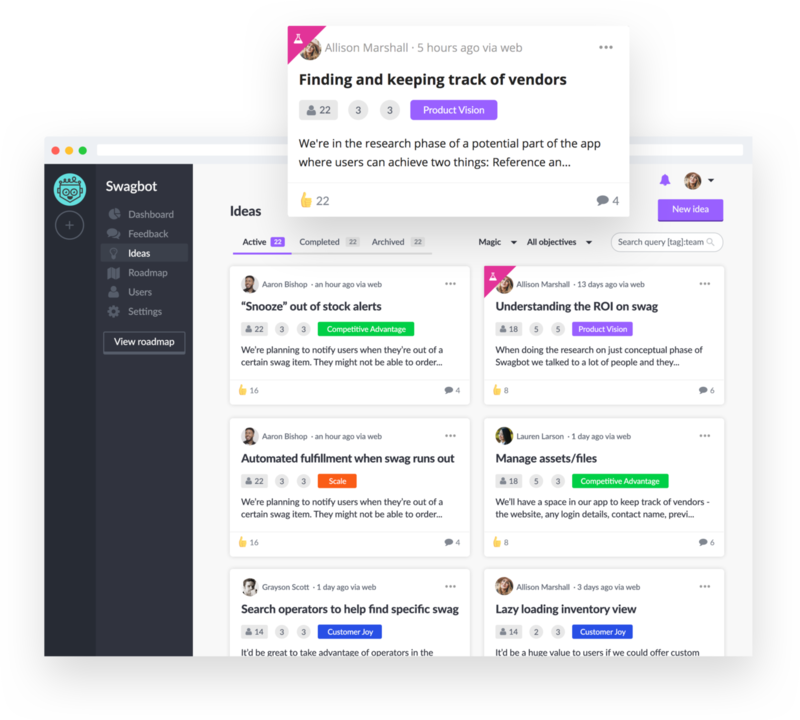 We help product managers turbocharge their development process by making it easy to centralize feedback, prioritize ideas and delight users by shipping exactly what they're looking for. Works with the tools you know and love. View all. The feedback inbox is a central place for feedback directly from the widget. 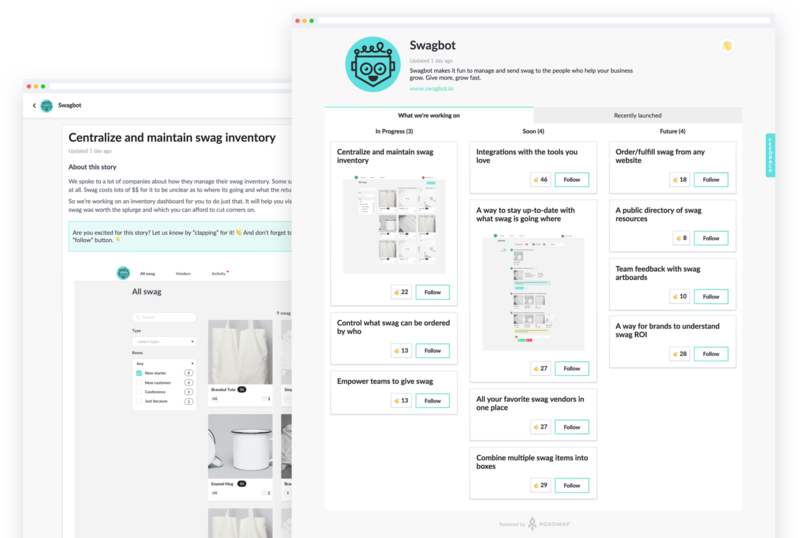 You can even push product ideas from the backlog to the widget as a quick survey. Users who participate are added to that idea as a follower in the backlog. 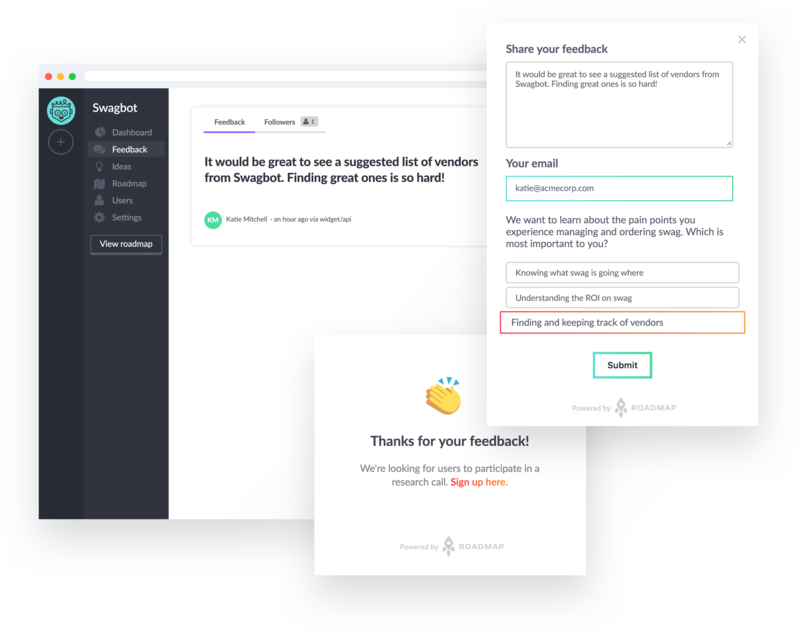 You can also capture feedback via Slack, Intercom, Email, and more. The idea backlog is a single source of truth for product and feature ideas from the team or escalated feedback. Custom fields and dynamic sorting help your team to prioritize ideas that align with product strategy. Prioritized ideas are combined into stories. Stories can be shared on your product roadmap to keep users and stakeholders up-to-date with what’s happening now, soon, and in the future vision for your product. Stories support HTML and markdown, and roadmaps can be completely customized to your brand with advanced CSS.